Yesterday the RCB released this press article: '#RCBeClimateConscious #reduce #reuse – Bees, Trees, KeepCups and other Church House Dublin initiatives' on how the Representative Body of the Church of Ireland has stepped up its commitment to Tackling Climate Change. I have to say, the RCB is now doing a decent job on tracking its steps on climate change, biodiversity and reducing pollution. The investment and pension funds are being cleaned up by removing investments from fossil fuels and the RCB's collaborative engagement muscles are being flexed by telling large corporations that they must speed up the transition to a carbon-free future. It is also encouraging that the RCB is piloting an energy audit in Down and Dromore Diocese, highlighting the joint Eco-Congregations and Bishops' Appeal #jars4journeys Lent project, and introducing bee hives (1/3 of food crops need pollination but bees are in serious decline, see sos-bees.org). The policy on trees: 'plant two trees for every one cut down on church property' is good, but do Diocesan Council's really follow up on this after they approve requests for tree removals? Church House is also reducing plastic waste by ditching the single-use coffee cup. 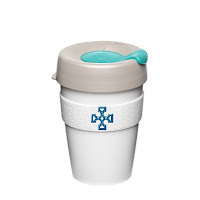 They now encourage staff to use a KeepCup at local coffee shops and in the office. An example to all of us. 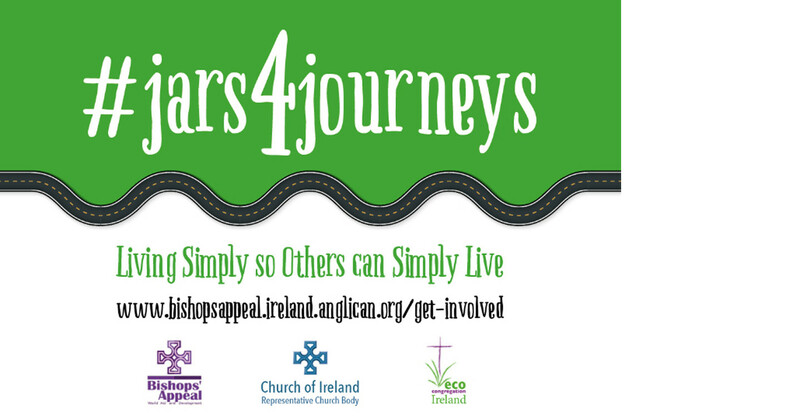 Perhaps General Synod in Armagh should build on the #jars4journeys initiative and have 'Bishops' Appeal buckets' to support those affected by climate change. Plastic waste could be reduced by serving hot drinks in compostable cups or by selling reusable KeepCups. The 2018 Church of Ireland General Synod could even start a new trend for 'Sustainable Synods'. New Wine Ireland is a Christian conference that takes place in Sligo each year. It aims to help local churches change nations. I spoke at a seminar this year along with David Ritchie, the Chief Executive of the Church of Ireland's Representative Church Body. The seminar was on how local churches can help care for God's creation. 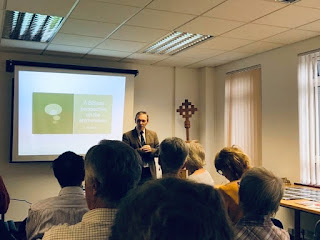 The audio of the seminar is available from New Wine Ireland but I have put the text of my talk and a video of the slides below. The Church of Ireland also released a press article giving a summary of the seminar. Introduction Today David and I are going to give you two short and complementary perspectives on God’s creation and the actions we can take in response to environmental issues. Then we’ll take questions and hear what you have to say. Yesterday was the seminar on 'Helping parishes respond to climate change' organised by the Church of Ireland. It was very good to see this happen in Belfast and the was a lot of interest from attendees on how churches can do more on climate. I was one of the speakers and it was great to have a full room in the Council Chamber in Church House in Belfast, beside the beautiful cathedral. I have reproduced the slides and the text of the talk below. A Biblical Perspective on the Environment [Slide 1] I have been asked to set the scene and provide a Biblical Perspective on the environment. But to be honest, I do not know why I was asked, for I am not a theologian nor I am not a clergy person. But I think the reason might be this - several years I was impacted by what the Bible has to say on about creation, how we treat it, and how the church has responded to the crisis unfolding before us.